Customizes not just the look, but the drive. The moment the machine starts, you'll feel the difference. The joy of driving. The swiftness. A supreme custom part that gives high-level form to the ideal. This is the Galespeed. In 2002, Galespeed was founded. Prior to that, after market wheels for races were commonplace, with cast magnesium = high prices, and they were difficult to use on the street. From there, with performance as a given, we focused on design and price range. Taking cue from forged aluminium wheels, a mainstay in four wheel vehicle races, we adopted a concept of establishing custom wheels easily obtainable even by street-use and later one of "world-renowned racing wheels" and began Galespeed's development. Firstly, we made possible the perfect strength and durability desired in a wheel and a light weight through forged aluminium. 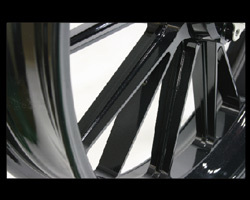 Then, in order to propose new concepts never before seen in custom wheels such as our pricing, design, and various color options including polished finishing to the aftermarket, we released the initial model "TYPE-C," created with Galespeed original technology. We did not only simply reduce wheel weight, but we also balanced weight distribution and rigidity with driving ability in mind and implemented wheels that overcame varied hurdles. Starting from the still-beloved "TYPE-C," Galespeed released 5 types of forged aluminium wheels created with unique machining technology, a lightweight forged magnesium wheels, and a carbon composite wheel through joint development with Dome Carbon Magic Co., and transformed custom wheels into something familiar. Being able to choose from many variations in itself is one of the joys of customizations. 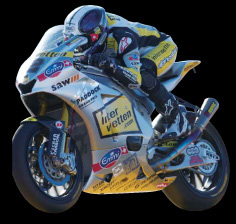 In 2010, the "world-renowned racing wheels" we strove for since start-up became a reality, and as a result of accumulating accomplishments in drive test after drive test and in races, we at last made our debut in the Moto 2 class in Moto GP. Galespeed took a huge first step towards being a world brand. That next year, feeding back the experience and know-how of each race, we developed the "TYPE-GP1" racing wheel. Since then, it has been adopted by many racing teams for races within and outside of Japan, continuing to achieve good results. It has been 10 years since Galespeed's establishment. Regardless of whether it's in the racing or customization genres, we have changed the environment of wheels in a major way. 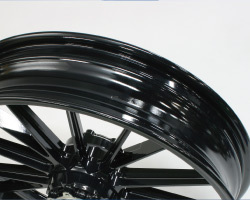 As wheels with higher rigidity and lighter weight are being sought after with the evolution of tires, Galespeed has grown forged wheels into the linchpin of wheel customization. The progress of technology will continue. Technologies polished in leading races, new materials and manufacture methods are fed back to the product, and Galespeed will continue to evolve to make even higher quality wheels. The commonality between all Galespeed wheels is that each is created with the concepts of "peace of mind," "safety" and "high added value." Wheels created from repeated trial and error are carefully assembled one at a time by the hands of our all certified staff. This in order to deliver the added value of satisfaction to all customers who own Galespeeds along with supreme custom parts. In a customization scene that continues to evolve, Galespeed is contending for the world from Japan. 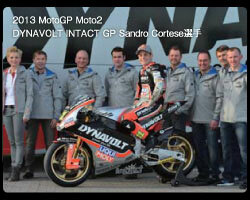 In 2013, along with the DYNAVOLT INTACT GP racing team, we begin a new challenge to Moto GP. The forging materials are strong, and our cutting process is accordingly capable. The unique shapes of forged wheels such as slim spokes and thin rims come from here. Galespeed wheels are forged using 8000t of pressure using heated forging methods, completed as lightweight wheels impossible with a casted product. 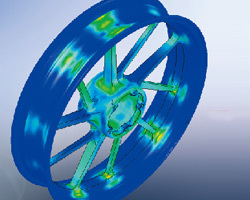 The spokes have the roles of boosting handling, rigidity, absorbing shock from the road surface, and others; they are an extremely vital part in wheel design. Galespeed spokes cross-sections, thickness and number of rods are designed for good balance, without damaging any performance areas. The front hub parts use the attachment system, with lightweight specifications that have been cut down to the internal parts where machinery blades struggle to reach. Planning and analyses are performed using 3D CAD and analysis software. They are repeated to bring all possible factors intended by the engineer such as design, manufacture method, weight, strength, and elasticity to their best condition. Design without compromise and perfect reliability. This is the first step in making wheels. 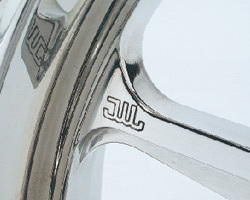 Lightweight rims are directly connected to a reduction in rotating weight, and linked to suppression of the gyro effect. This is an important factor influencing the vehicle's mobility capabilities. Galespeed rims are not just light but also have durability worthy of practical use via varying rim thickness and rib construction. 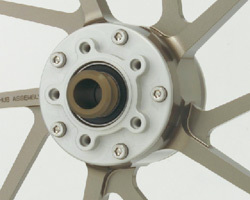 Galespeed boasts high reliability. We do not just conform to JWL, the Japanese safety standards for light alloy wheels, and the globally reliable T?V (excluding part of line-up), but support precision and safety by including in-house standards we established for ourselves. The highest quality wheels, jointly developed by the Galespeed development group and Dome Carbon Magic Co. Based on technologies cultivated by both companies, are produced one by one by hand, implementing a strong and beautiful carbon exterior and a stylish design. Racing wheel "TYPE-GP1," created from accomplishments in many races.Applying our unique design, this flexible wheel is our globally competitive pride. The long-awaited street model of the "TYPE-GP1," renowned in races. Please enjoy this wheel, perfected in races, and made for the street. Hub unifying 15 spokes, created using our sophisticated cutting technologies. Even more light weight, with guaranteed rigidity. 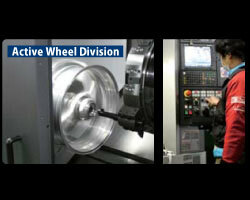 By adopting Magnesium material, we have succeeded to design and produce the ultimate light weight wheel. With 10 T-shaped cross section spokes which are more slim-shaved than TYPE-R and machined hub section, it has succeeded 30% weight saving from TYPE-R and is definitely for high-end users. GALE SPEED TYPE-C is placed as the basic model with enough strengh of rim and 5 T-shaped cross section spokes. It is well-balanced model achieved light weight, high-performance and durability in good balance. We also have the shaft-drive V-Max application. 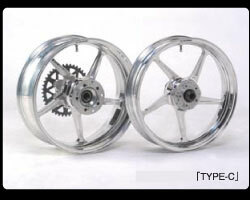 Utilizing the Gale Speed design concept, we offer a new classic look forged aluminum wheel. While securing enough stiffness with the best stress-dispersal 6 spokes, we have pursued the performance. 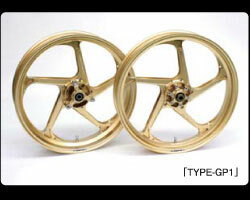 We prepare 17" and 18" for various models.